ColecoVision.dk presents: Mouse Trap © 1982 by: Exidy Inc. 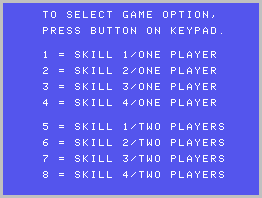 Original Programmer and/or Designer: Larry W. Hutcherson, Exidy Inc.
ColecoVision Sound Programmed by: Coleco Inc.
ColecoVision Graphics Programmed by: Coleco Inc.
ColecoVision PCB Size, Type and Producent: 12kb., Coleco Inc., Coleco Inc.
ColecoVision Cartridge #, Casing and Producent: 4L1820 / 4L1988 / 4L1990 / 4L1991, Standard Black U.S. or European Style, Coleco Inc.
ColecoVision Manual # and Manufacturer: 78085, 60.241901.71 / 2L1987 / 2L2109 / 2L2138, Coleco Inc. Publisher and Year: Coleco Industries 1982, CBS Toys 1983. 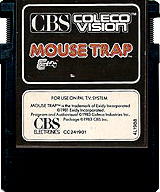 Mouse trap is the game, that came with some of the european version of CBS ColecoVision. Based on the fun filled arcade game. 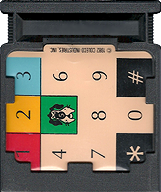 Exidy's Mouse Trap for ColecoVision features a cheese-choping mouse that you dash around a maze. Open and shut maze doors to escape the pursing cats. Eat a bone, then turn your mouse into a cat-biting dog. But watch out for the treacherous hawk!. XName: Tom Duncan. XName: Bmack36. XName: Torben Olsen. XScore: 5.599.130 - September 28, 2004. XScore: 4.001.540 - February 23, 2018. XScore: 1.548.210 - Around 1985. ColecoVision.dk Game # 1, Mouse Trap is last updated: February 26, 2018.